We offer up to date wound and ulcer management tailored for each patient, with a view to healing an ulcer or wound as soon as possible. 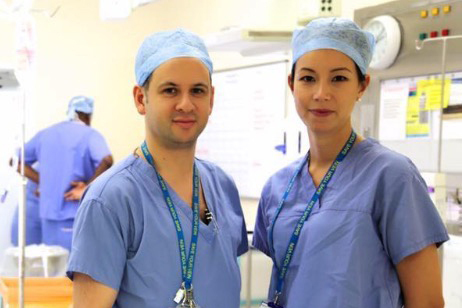 The consultations are led by a consultant vascular surgeon and a specialist tissue viability nurse, pooling knowledge and disciplines together at the same consultation. This ‘multidisciplinary’ approach has been shown to lead to the best outcomes and this best practice is provided at The Wound Clinic. Sadly, ulcers and wounds are often not given the attention and care needed to heal. They can carry a tremendous burden for the patient which is often underestimated. Our aim is to redress that balance and to help improve our patients’ quality of life. We offer up to date wound and ulcer management tailored for each patient, with a view to healing an ulcer or wound as soon as possible. Our approach is driven by latest research developments with tried and proven methods. We are a caring and conscientious team which considers each patient’s needs and lifestyle to develop a bespoke programme of wound and ulcer care. We can see patients in the outpatients’ setting, inpatients’ setting or at the patient’s home.